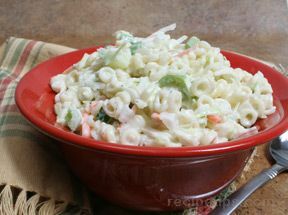 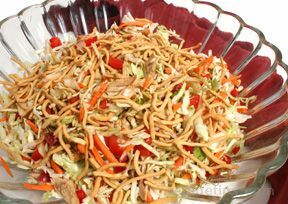 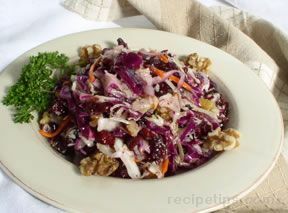 This crunchy sweet-and-sour salad, a favorite with kids, lends itself to endless variations. 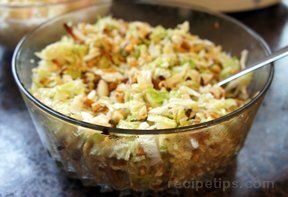 For instance, try adding celery, chopped apples or raisins. 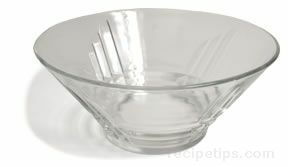 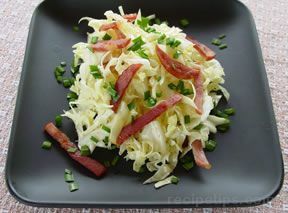 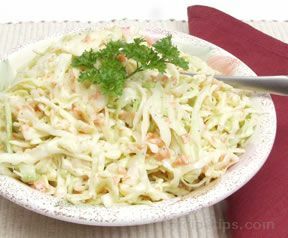 Coarsely chop or grate about half a medium sized head of green cabbage. 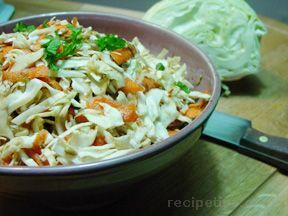 Coarsely chop or grate 2 carrots. 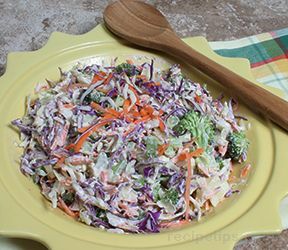 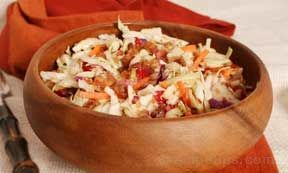 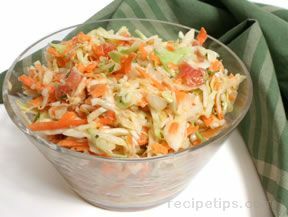 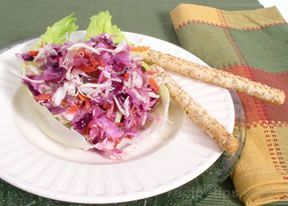 Mix cabbage and carrots together. 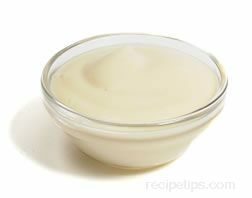 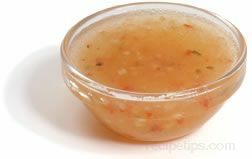 In a small bowl, mix together 2 tablespoons honey, 2 tablespoons balsamic vinegar and a pinch of salt. 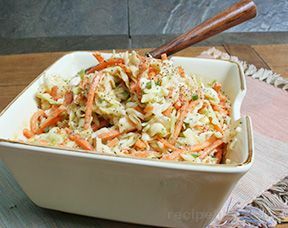 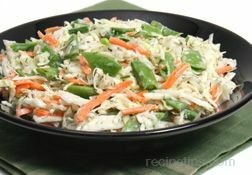 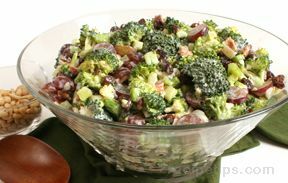 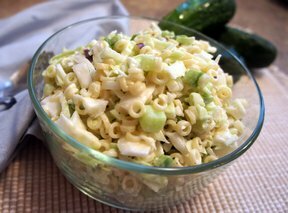 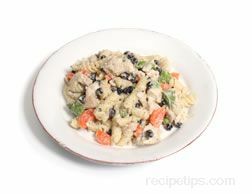 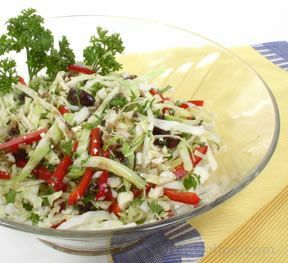 Pour the dressing over the vegetables, mix well and, if you wish, sprinkle with 1/2 cup roasted salted sunflower seeds or toasted almonds, chopped or slivered.